Royal Dutch Shell has agreed to a $15.5m payout to settle a lawsuit alleging complicity in murder, torture and other abuses by Nigeria's former military government. 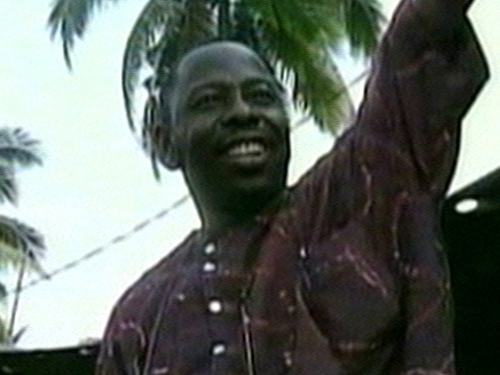 The settlement brings to an end a decade-long battle by relatives of Nigerian writer and activist Ken Saro-Wiwa and others executed in 1995 in what plaintiffs said was a campaign of repression backed by Shell. Mr Saro-Wiwa led a non-violent protest against environmental destruction and abuses against the Ogoni people in the Niger Delta. He was hanged along with other activists after trial in a military court. Human rights lawyers hailed the agreement in New York as a precedent for holding Shell and other oil giants responsible for activities in countries with repressive governments. Shell denies all accusations, but the settlement will spare the oil giant from the potential embarrassment of having to defend itself in court. 'Shell has always maintained the allegations were false,' said Malcolm Brinded, executive director for exploration and production. Part of the money will go to the plaintiffs, part to a trust to benefit the Ogoni, and some to pay the costs of litigation. Bariara Kpalap, spokesman for the Movement for the Survival of the Ogoni People, welcomed the out-of-court settlement, but added that Shell still had to address 'environmental pollution, neglect and degradation in Ogoniland'. 'Shell has inflicted much sufferings on the Ogoni people through its operations. As farmers and fishermen we have been deprived of our means of livelihood through the pollution of our lands,' said Mr Kpalap. The Nigerian plaintiffs, represented by US human rights lawyers, brought the suit under the little used Alien Tort Claims Act, a 1789 US law occasionally dusted off for use against multinational corporations' activities in other countries. The case - seen as a landmark in the human rights legal field - had been due to go to trial on 27 May but was repeatedly delayed in the run-up to the announcement of a settlement. The settlement is not the end of Shell's legal troubles. Separate challenges are being mounted in New York by an Ogoni and by environmental activists in the Netherlands.